Spectrum clearance in mobile networks is becoming ever more important as operators use new bands that previously contained other services. This is particularly important for the rollout of 5G NR. 5G NR will initiate a worldwide deployment of TDD networks in an unknown radio environment where unwanted transmitters will create uplink interference that is masked by the network’s own downlink signals. In such a scenario, interference hunting becomes a particularly demanding task. It uses traditional manual techniques and can be greatly assisted by the automated detection of interference signals before the network is switched on. Automated recording of interference signals using the R&S®ROMES4NPA network problem analyzer. The task is to prepare new frequency bands for the deployment and switch-on of LTE or 5G NR networks by characterizing the radio environment and conducting spectrum clearance. The principal task ahead is to identify and eliminate external interference sources, which are most troublesome in the uplink. This process becomes more critical for the rollout of a new TDD network, where the downlink and uplink signals share the same frequency band and are separated only in time. In TDD deployments, the network’s own high-power downlink signals will mask the uplink interference when spectrum measurements are performed within the interference hunting procedure. Therefore, the process of finding and eliminating interference sources is more complex than with FDD systems. And we highly recommend that you identify interference before the TDD system goes live. If this task can be automated, it will vastly reduce the time and difficulty of the process. The sequence of tasks listed above starts by conducting a drive test in the area concerned using a fast and sensitive scanning RF receiver to detect and record the location, frequency and spectral shape of interference sources. The results are then handed over to a postprocessing tool for further analysis and identification of signals fulfilling certain criteria such as minimum receive signal level. 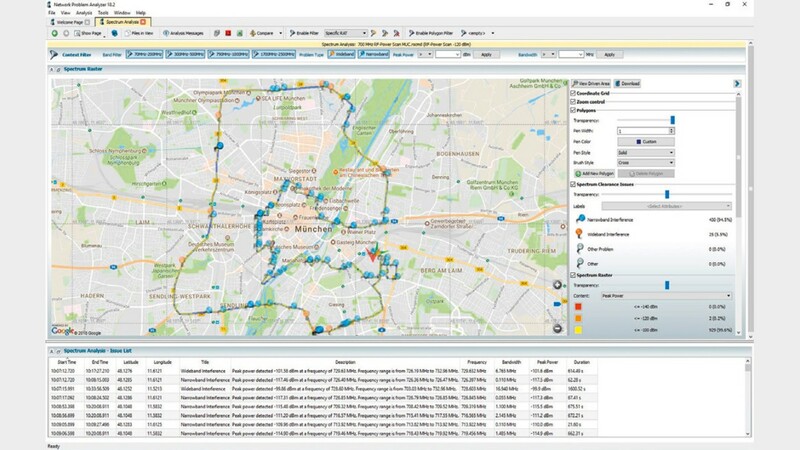 Compared with the “traditional way” of directly deploying interference hunting teams equipped with spectrum analyzers or handheld receivers to the relevant area and manually searching for interference, the above method has three main benefits. First, the identification of potential interference signals and their characteristics is far faster than when using manual techniques. Second, since the collection of data and analysis of data are done separately, data collection, which is the most time-consuming part, can be achieved far more quickly using less skilled personnel. Third, the experts in the interference hunting teams are more effective because they concentrate only on the predefined interference spots. The elimination of interference, the second step in the spectrum clearance process, can be automated using an appropriate direction-finding system such the R&S®MNT100 receiver in combination with the R&S®MobileLocator software. 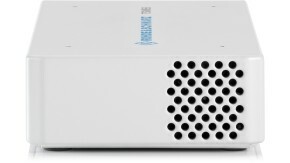 The unique test solution from Rohde & Schwarz is the only one with a network scanner connected to the analysis and postprocessing software in an integrated package. From further analysis of the interference signals, we can clearly see a cluster in the range of 725 MHz to 735 MHz (see lower screenshot). 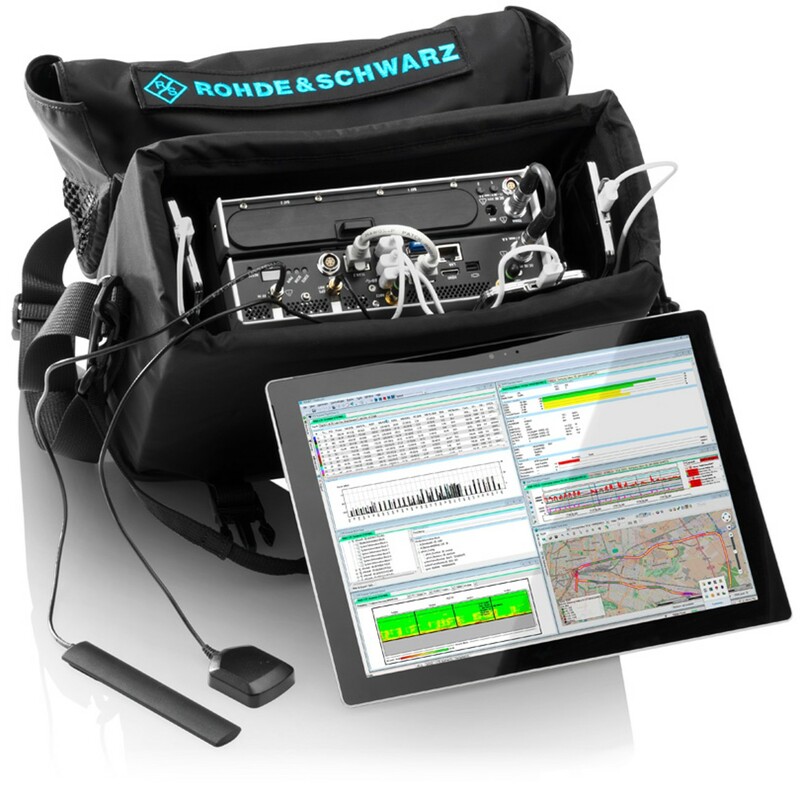 The picture shows the R&S®TSMA autonomous network scanner, which is battery powered and fits neatly into a shoulder bag for comfortable drive or walk tests. 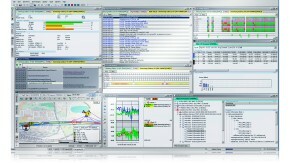 The R&S®ROMES4 drive/walk test software runs on the “Next Unit of Computing” PC integrated into the R&S®TSMA. The software is supported by a GPS receiver and a mapping capability. The measurements are controlled by a tablet that displays the results to the user in realtime.